This article is part of a series on art today to support the Dazed x Converse Emerging Artists Award Check out the rest of content here and make sure to visit the Royal Academy in London before 17th May to see all the work IRL. UK art legend Steven Claydon shows in spaces from LA to Berlin but he has always called Britain home. Born and bred in London he studied at both St Martins and Chelsea, hanging out at City Racing – the legendary derelict betting shop turned artist-run gallery that once stood by the Oval cricket ground. Back then empty warehouses and offices were plentiful and the perfect home for artists but Claydon has watched as London’s housing crisis has peaked and the city has been remade for the offshore rich. As part of our series of articles on emerging art today to support the Converse x Dazed Emerging Artists Award we asked our esteemed judge how to survive as an artist in Britain when the odds are stacked against you. 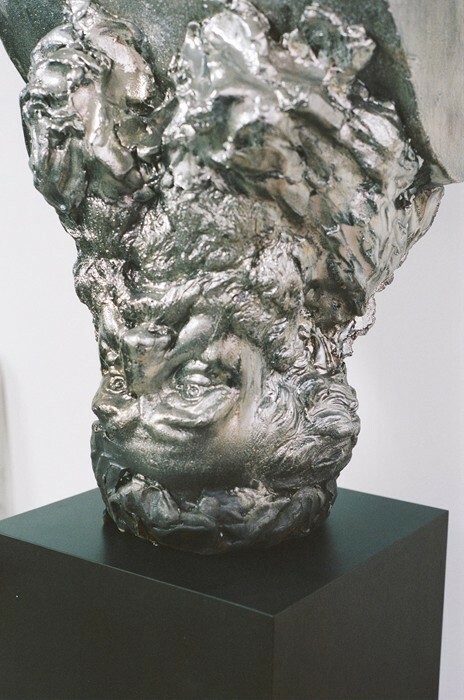 Steven Claydon is preparing for a solo show opening in September at the Centre D’Art Contemporain in Geneva. Check out the rest of content related to our Emerging Artists Award here and make sure to visit the Royal Academy in London before 17th May to see all the work IRL.